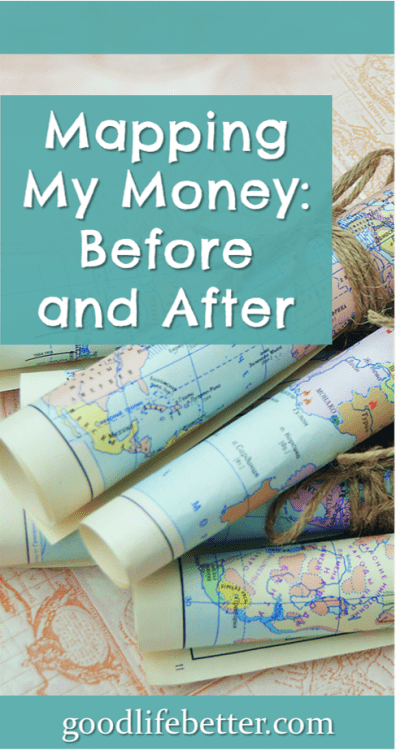 Mapping My Money: Before and After | Good Life. Better. I love spreadsheets and have many different ones that are helping me stay on track financially. 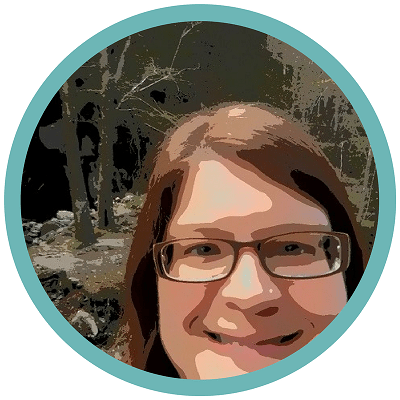 Recently, however, I came across a challenge from fellow personal finance bloggers Budget on a Stick and Apathy Ends that made me want to look at my money differently. 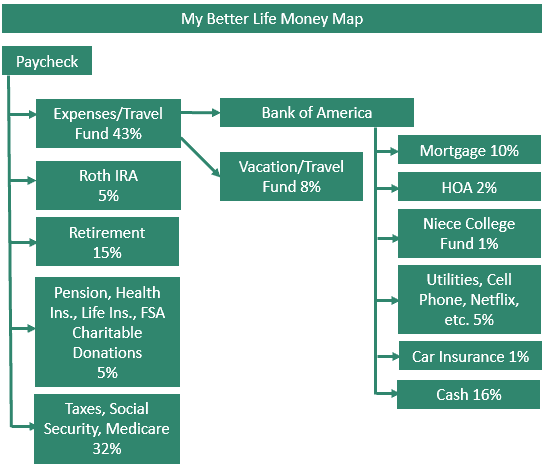 More specifically, to lift my gaze from my beloved rows and columns to create a “money map,” a visual representation of how my money flows in and out of my life each month. As I am in the midst of paying off the last of my debt, I decided to create two maps, one depicting my current situation and a second one reflecting my post-debt life. After all, in another few months, I will be debt free (other than my mortgage) and be able to max out contributions to my retirement accounts which is very different than today when I am only contributing 8% of my pre-tax income. Given my salary, this isn’t exactly chump change, but it is not where I want to be at this stage of my life (my 5% employer match helps me sleep at night!). So, while not quite as exciting as radical weight loss before and after photos, here are my before and after money maps. Almost half of my income (42%) never hits my bank account. Instead it goes toward: retirement account contributions; taxes, social security, and medicare payments; and pension contribution, health and life insurance premiums, my flexible spending account (FSA) contributions, and charitable donations I make through a workplace giving program. As noted above, I decreased my contribution to my retirement account to get out of debt faster (Dave Ramsey recommends stopping contributions altogether but I just couldn’t do that). I did direct all of my contribution to the pre-tax account I have access to and not the Roth option. This decreased my tax bill and thus increased what I took home. Once my debt is gone, however, I plan on going back to contributing only to my Roth 401k. 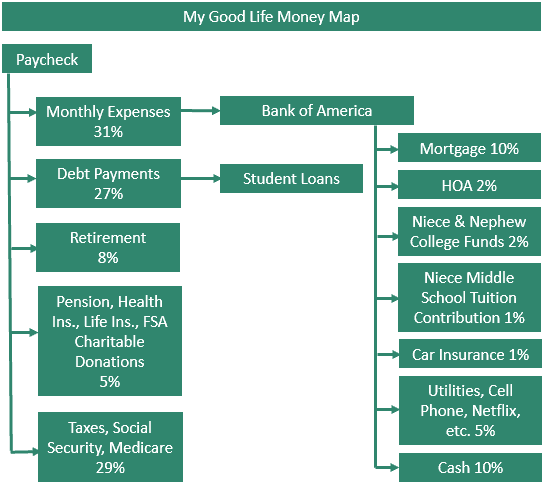 If I had done this a few months ago, this section would have been more complicated because I would have had more types of debt: a home equity loan, a car loan and credit cards in addition to my student loans. Now, as you can see, every extra penny is directed toward my student loans only. I can’t wait for these to be gone too! I think my expenses are fairly typical with regards to car insurance, mobile phone, etc. My mortgage makes up a smaller portion of my budget than most because I bought my condo twelve years ago when I earned quite a bit less. For many reasons, which I discuss in My Worst (Best?) Money Decision, I didn’t buy more house as my salary increased. This is likely going to end up being a smart money decision when I go to sell but being stuck was frustrating. I do help out my sister by contributing to my niece’s and nephew’s college funds. I also help out with the tuition costs for my niece to attend a private middle school. I know most aunts don’t (or can’t) do this but I am glad that I can. For most of their lives they haven’t had any grandparents living to spoil them so I get to be a cool aunt and a grouchy grandmother rolled into one. The category of Cash is everything else—food, gas, clothes, etc. I usually budget this pot of money in my head. Not always perfectly but I usually make it work. I expect the amount of my income that never hits my bank account will increase in the future to 57%. Part of this will be increased taxes as I contribute the max to my Roth 401k, but the bulk will go to increasing my retirement account contributions. I’m getting close to the income limits for a Roth IRA so may need to do a back-door Roth. A few of my expenses will be gone in the coming months. My nephew turns 18 next year so that expense goes away, as does tuition for my niece to go to middle school. To reward my months of cutting back on my day-to-day spending so I could get out of debt faster, I increased my budget for going out to dinner, etc. But the thing I am most excited about is the creation of a vacation/travel fund. I really like to travel, either by myself or with others. I lived in England for a while and still have close friends there. I have also been fortunate to travel a lot for work, including spending three-months in Kenya a few years ago. Sadly, not only is travel not cheap, it is super easy to go over budget once you get somewhere. Even if I resist the hotel spa, up pops a guided tour or an opportunity to eat a fabulous (and costly) meal. A dedicated fund will open the door to amazing vacations that don’t mean credit card debt when I get back home. Top on the list? South Africa and India. Want to See Other Money Maps? This post is part of a series of posts by other personal finance bloggers. I haven’t read all of them but have viewed enough to know that they reflect people at all stages of life and with different approaches to preparing for retirement. If you found mine useful, I would encourage you to check out other maps from the list below. And let me know what you think in the comment section! I love to hear from my readers. Thank you! I wasn’t always able to do this but I’ve worked hard and earned promotions which means I can do this and still have a good life. As Dave Ramsey notes, sometimes debt is an income problem not a spending problem. And thanks for the comments on the design. I used PowerPoint which I use a lot for work. Wow two maps in one post! 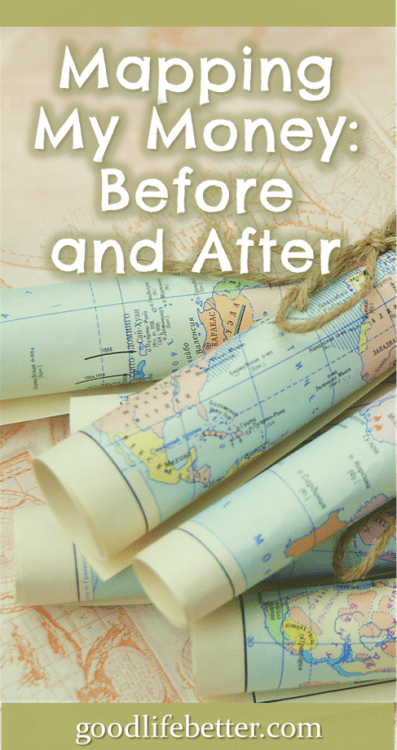 I loved the feeling of being consumer debt free. Glad to see you made it and are putting 15% into retirement already. Thank you! I have been doing at least 10% since I was 28 and upped it to 12% a few years later (this does not include an employer match of 5%). Getting to that maximum amount has become a goal in more recent years. Thanks for joining the chain gang and I agree with the previous comment. Impressive use of automation to save pretty much half of your income. Thank you! I am fortunate that the employer plan I have access to has very low fees so its a no-brainer to invest in it. Interesting read. The most impressive for me was your contribution to your niece & nephew. I cannot really think of a better investment than the future of the next generation. Kudos to you. Thank you! I read this great article year’s ago that said because of the declines in the quality of schooling the old model of wealth transfer-at death doesnt make as much sense now. Heirs will most benefit from your money to help set them up in life not when they’re 50 or 60. I’m so glad I was able to do this. 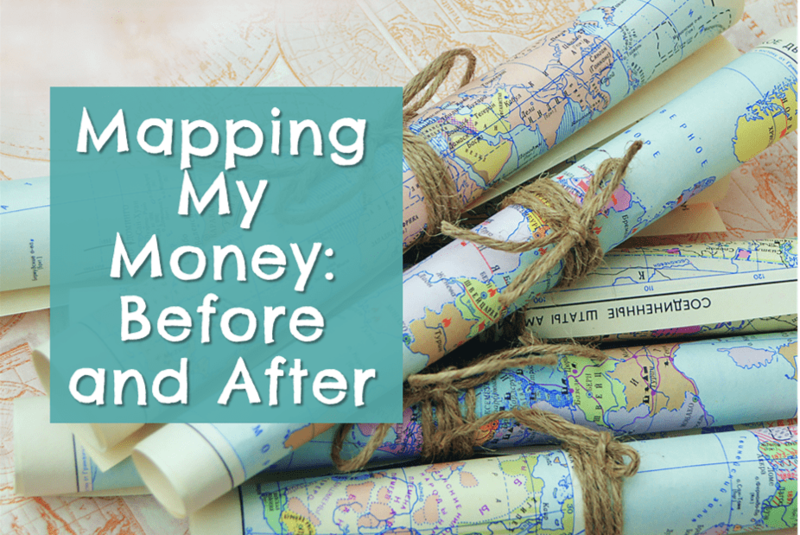 Thank you–I probably wouldn’t have done the two maps but for the money map chain and it turned out that it was super motivating for me! And I am sure you are a fabulous auntie! I have been in a position where I could contribute some and still save for retirement (maybe not as much but I could still save 10%). Loving them and wanting to spend time with them is still an investment in their future. I was able to add cash too but it certainly isn’t the only way to make their lives richer!